12 institutions from 11 countries were recognized by the United Nations on UN Public Service Day for their innovation and excellence in providing public services. The Day highlights the pivotal role of public services in the implementation of the Sustainable Development Goals (SDGs). The UN Public Service Day is celebrated every year to recognize public service innovations and excellence that have led to more effective and inclusive public service delivery contributing to the achievement of the SDGs in countries worldwide. 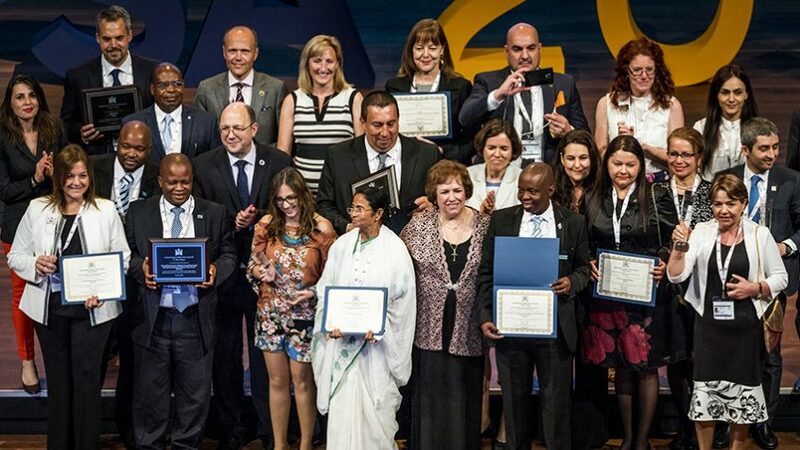 The 2017 Public Service Awards winners were announced during the UN Public Service Forum “The Future is Now – Accelerating Public Service Innovation for Agenda 2030” held from 22 to 23 June in The Hague, Netherlands. The Awards ceremony featured various initiatives that are helping to improve people’s lives. In Argentina, an initiative has provided quality early childhood education to neighborhoods in extreme needs. An initiative in Australia was recognized that promotes transparency and inclusiveness in use of public fund and resources. In Thailand, a project has provided quality care to elders. In Botswana, the effective waste management system has been implemented to improve communities. Also on the occasion of UN Public Service day, a two-day Forum was held in the Hague in the Netherlands to allow ministers, senior public servants, civil society representatives, young people and experts to share innovations and lessons learned on mobilizing public servants and public services to realize the SDGs. “We need to mobilize the best expertise of public servants to transform institutions and put people at the centre of public service. We need to mobilize their creativity and empower them to take risks and try new ways of doing things. In brief, we need innovation so that no one is left behind”, said Thomas Gass, UN Assistant Secretary-General for Policy Coordination and Inter-Agency Affairs. The Forum was organized by the Ministry of Interior and Kingdom Relations of the Netherlands and the UN Department of Economic and Social Affairs (DESA), Division for Public Administration and Development Management.